Mention the letters AMG to any car enthusiast and vivid images of high-powered sporty Mercedes-Benz automobiles immediately come to mind. Thus when I received the weekly call as to what I would be driving for the week, I immediately had an ear-to-ear grin on my face when I heard the sweet words “AMG S63 Coupe” ….Wow! 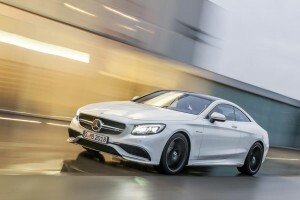 The Current generation of the S Class was completely redesigned in 2014 and what was formerly the CL is now simply called the S Class Coupe, which as compared to the previous lettering designation, this new version makes sense. The newly redesigned coupe arrived in the US as a 2015 model, and in typical AMG fashion, this new super-coupe is everything you have come to expect from AMG and much more. 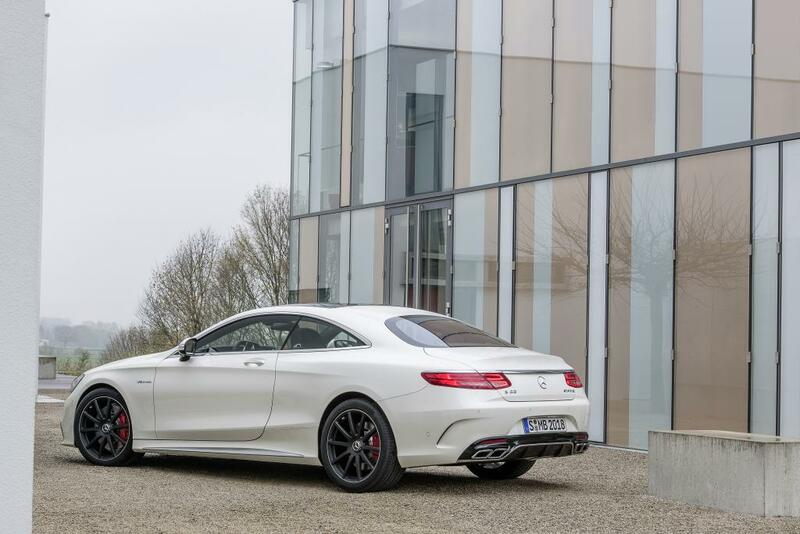 The walk-around of the AMG S63 Coupe instantly reveals a masculine, aggressive yet gorgeous design. The wheels are stunning, showing off the large brake calipers and disks in each corner. The back-end is all business, with quad stylized exhaust tips, and a stance that makes the car look modern and fresh. As you open the driver’s door the first thing that draws you in are the sumptuous leather seats together with the beautiful, modern dash. 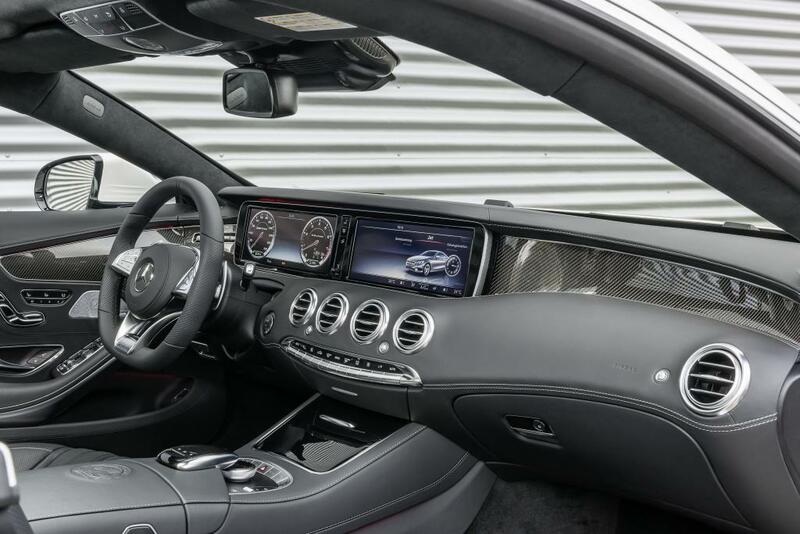 There is an engraved AMG crest on the top of the bi-fold arm rest, another subtle and elegant detail that makes the lucky owner and the front passenger feel special. Everything that is seen and touchable is premium material quality. The completely redesigned dash and center console offers an easy to understand infotainment system. Ambient lighting in the car can be changed depending in the driver’s mood. Additionally, there is even an auto setting for the “Air Balance” perfume mister. Now that’s opulence. Of course, there is every bell whistle and technological marvel available in the market today, all wrapped into this luxury two-door super-coupe. In fact, there is so much gee-wiz that I don’t think I had the chance to really experience ALL of it, nor will most owners. There is the night vision capability, in addition to the wonderful semi-autonomous Stop-and-Go Pilot function which is basically an electronic chauffeur, who I named Cavendish. The list is almost endless. Looking up, there is a giant panorama roof that creates a sense of airiness, especially in a car featuring a black interior. Every corner, angle, edge and surface is engineered perfection. I found myself sitting in this car simply to enjoy the experience of feeling and touching the interior and all of the buttons and switches. Rear seats are equally luxurious but not particular spacious, especially if you have long legged people sitting up front. Its ok, most people that would entertain owning one of these coupes more often than not, have a second or third car. Ahh, the sound system. It’s a Burmester, no need to say any more than that. 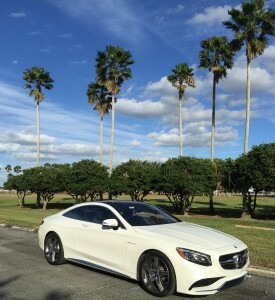 For my test drives, I have several songs that I like to use to sample the different vehicle sound systems and by far, this concert-like system in the S Class Coupe is simply one of the clearest and neatest sounding on the market today. All of this talk about the car is fine, but how does it drive? Easy to sum up: Magnificent! How so? Well, for me, the key to a memorable-driving car is how seamless it does everything. From the throttle feedback to the ease of being able to infinitely modulate the brake, it’s all about the details and the S63 AMG Coupe is simply close to automotive Nirvana as a car can get. The power is effortless, squeeze the throttle on an on-ramp and you basically teleport to the spot you want to be on the highway. Need to pass someone on a two lane road? Not a problem, get on the power and this amazing coupe simply bolts, with the perfect engine sound to boot, so much so, that I simply could not stop smiling! The transmission is so effortless that you can easily forget the car actually has one. 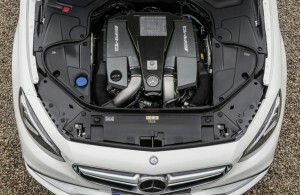 In fact, it feels more like the direct power of a turbine engine than a piston driven motor. Brakes are direct, efficient and exactly as you expect from an ultra-coupe like this. This is not a small car yet it handles with the aplomb of a much smaller car. The wiz-guys from Affalterbach made the suspension magical. 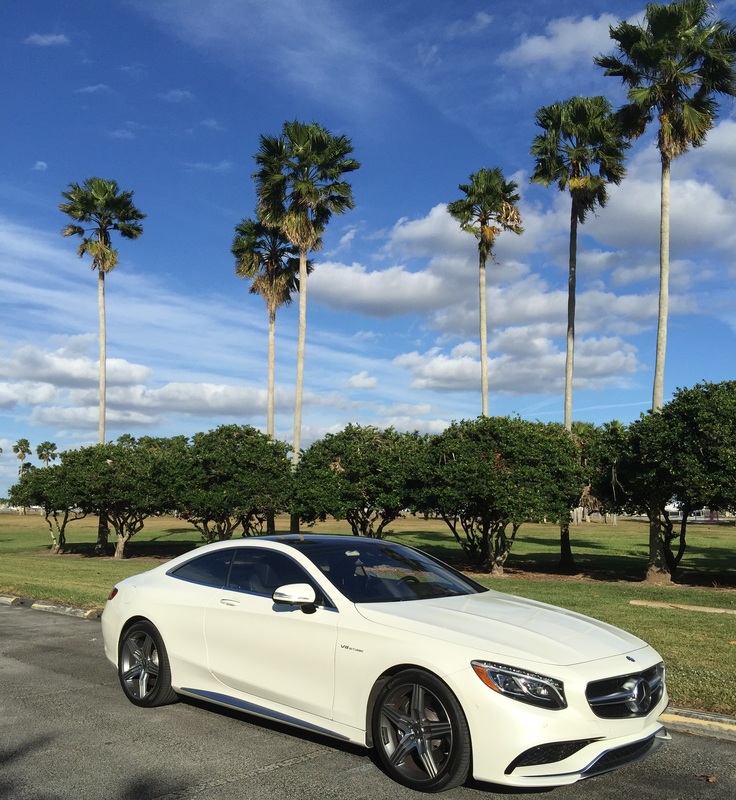 Regrettably, the one week with this super-coupe came to an end way too quickly. Would I have one? Absolutely, in fact, so many people want to buy one that “Mercedes-Benz is having an overwhelming demand, we simply cannot keep any in stock” Said my good friend Jorge Quevedo from a local South Florida M-B dealer. And this is a good problem to have.